Drew and I made the trip to New York City last week for the long-awaited (for me!) 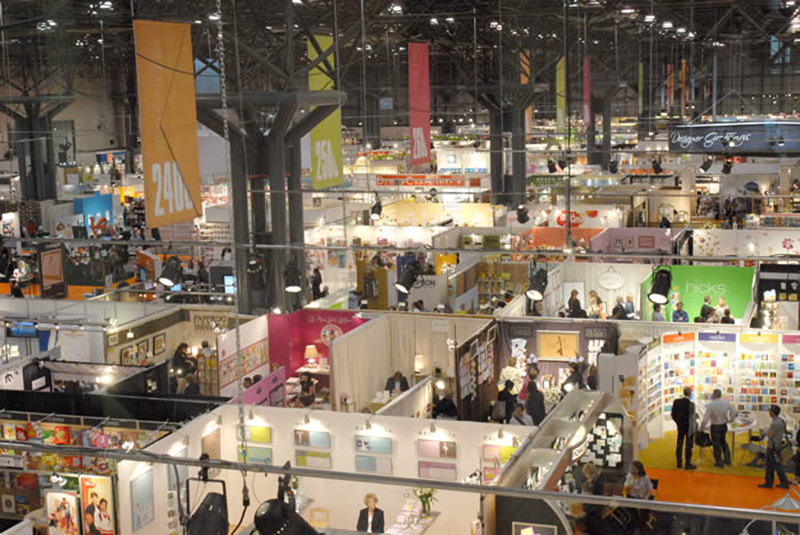 annual National Stationery Show. It was a such a blast. Hundreds of booths. Thousands of products. A plethora of design. Letterpress everywhere! It was a huge inspiration and learning experience. I feel like I now have a very clear vision of how to move forward and succeed with Sky of Blue Cards. I was happy to find that although letterpress continues to be super trendy, there is nothing else out there like us in terms of design! I’m thrilled to report that our cards will be in two stationery stores very soon: Sassafras Stationery & Gifts in Pensacola, FL and Wordshop Denver in Denver, CO. Two very cool venues indeed! Stay tuned right here for new locations featuring our cards soon! Speaking of Sassafras Stationery & Gifts, I have to send a big shout out to the beautiful and gracious owner of said store, Saranne Soule, for sitting down with me on several occasions while we were out there. She gave me all sorts of advice and tips and names of people to contact. She was incredibly generous with her time and information. Big, huuuuuge hugs to you Saranne!! Also, Worshop Denver owner Jill Karber and her husband Nathan, were so nice and met with me during a very busy day at the show. They placed with me my first order to a retailer! It was very exciting. I’m looking forward to the show next year and I hope by then I’ll have enough product to get a teeny tiny booth of my own in the section Drew and I like to call “The Newbies”. We found their work to be the most interesting and dynamic. There was so much to see and here are some images on Flickr for you to check out. It was amazing!